This selection has lushly tropical sweetly fragrant flowers that open in the evening into huge trumpets of luminous white. 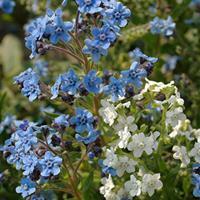 Smokey-blue leaves and a wide, branching habit add to its charms. Poisonous. 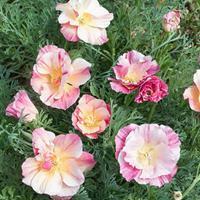 A showy cosmos from the Double Click series of famously ruffled double flowers, ‘Rose Bonbon flourishes in a sunny spot protected from wind and grows into a compact plant with strong branching stems supporting the ample blooms. 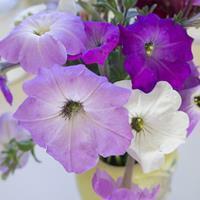 A wonderful addition to cut flower bouquets. An heirloom variety with trumpets of bloom in hues of lilac, smoky mauve, white, pink, violet, and dusky dark purple, some netted with darker veining. 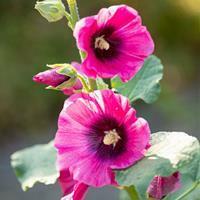 As evening hours approach, they lift their heads and release an intoxicating scent that will perfume your whole garden. Poisonous. Self sows. 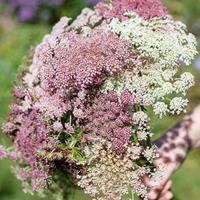 This is a brand new wild carrot, or Queen Anne's Lace, that has large flowers in flat umbels that are great for cutting. 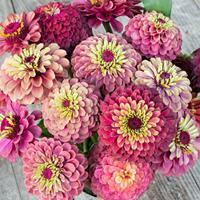 The lacey blooms are found in a constellation of hues of blush pink, cranberry, white and blackberry. Self sows.